Get your €10 tickets in advance from whelanslive.com or €12 on the door. Shh…Diam! 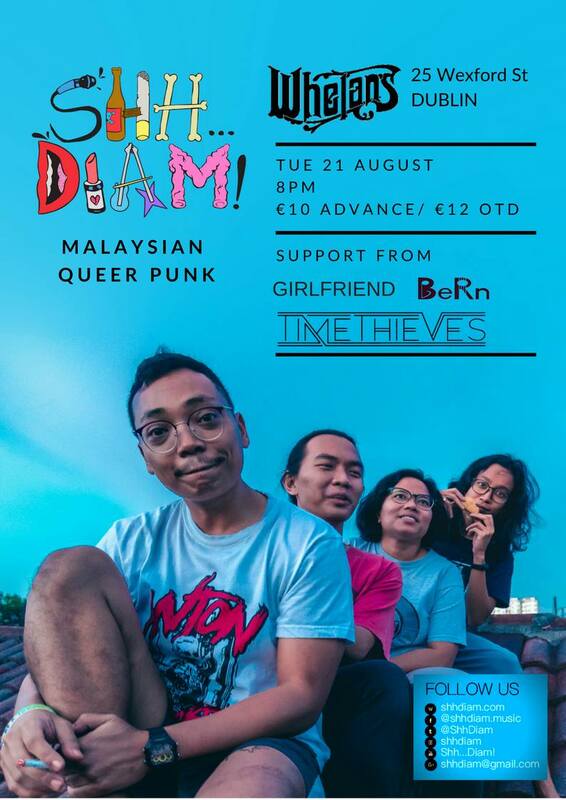 – Malaysia’s first openly queer band are proud to play Whelan’s as part of their European tour. As well as the island of Ireland they are performing in the UK, Netherlands, Germany and Denmark to promote their second album, Eat Your Local Fruits. Previous Post Video launch: Pope by BeRn. Street 66, Sunday Feb 25th, 2018, 6:30pm.